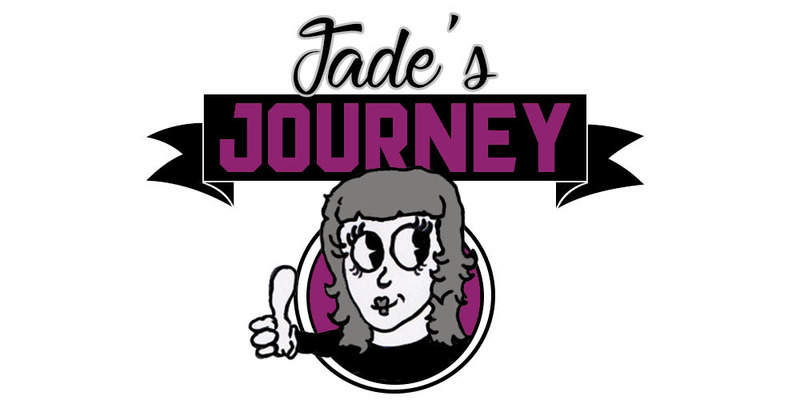 Jade's Journey: Look what I have been up to!!!! OK so this week I had my sisters over to stay which is why I haven't be able to blog also my little boy has been a total monster. My sisters are 8 and 10 and they wanted a little make over so I gave them one hehe I gave them slug brows and bright cheeks it was funny, I thought giving them a makeover to make them look like how most girls walk around now a days. 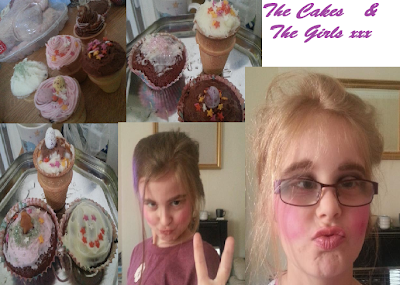 We also had a day of making cakes my youngest sister Molly made red velvet cakes and Trinity the older one was making meringue unfortunately the meringue turned out as flat egg sugar pancakes so in the bin they went. I wanted to make cornflake cakes which have now all been eaten so I may have to make more this week. The other cakes we made where the ones where you put the cake mix in the ice cream cones and have ice cream cone cakes.